There’s no fountain of youth but there are ways you can attain an incredible level of fitness in your forties. 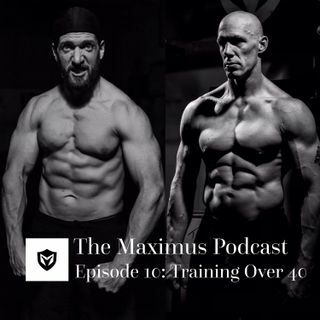 In Episode 10 of “The Maximus Podcast” Joe Cebula and Bobby Maximus discuss what it takes to be at your best during your so called “later” years. There’s no need for you to have a full blown midlife crisis or for you to cheat by turning to testosterone supplements from your Doctor. You can achieve an elite level of fitness and feel incredible simply by paying attention to how you ... See More sleep, eat, and train. We’d like to thank our sponsors. Visit www.lalo.com and use the code MAXIMUS20 for 20% off Footwear. Also visit www.meatlocker.com and use the code MAXIMUS to get 15% off your order.